Blocks – wooden, Lego, plastic. Whatever kind you buy, these building tools help engage kids’ minds in creativity and build fine motor skills. Sometimes as parents we don’t realize that “play” is essential to child development. Blocks of all sorts have been helping kids develop physical coordination and create worlds that only live in their imaginations for hundreds of years! You just can’t go wrong with blocks. Bikes – Another toy that helps develop physical coordination as well as independence. Learning to balance and steer, then navigating on their own gives a sense of accomplishment to kids. For now, the whole family can go on bike rides together, but as kids get older and more responsible, riding a bicycle to see friends or to the store helps them gain independence. Dolls – Baby dolls with bottles and blankets, American Girl dolls with history lessons and accessories, or specialized character dolls are a lot of fun. Each of these different options unlocks new experiences and opportunities to learn. How do you take care of a baby? What was life like for kids in the 1930s? What kind of adventure will my doll and I go on today? Obviously dolls are not for everyone, so choose wisely. Games/puzzles – these fun toys can provide hours of family time and increase mental acuity, dexterity, and problem solving skills. There are the classics that have been around forever (e.g., Monopoly, checkers, chess, Clue) or there are new ones that you might not have yet. If you are choosing a puzzle, make sure that the number of pieces is appropriate for the age of the child you are gifting it to. Experiences – these are the things that memories are made of. You can go big or small; from taking someone on a vacation to taking them to get ice cream. At Christmas time, there are so many fun things to do with kids: the North Pole in Flagstaff, the Polar Express in Williams, the lights in our town, and a visit to Santa. Your time and attention are the best gifts you can give. If you are looking for classic gifts that will never get old, start with this list. The ideas are here because they’ve been around for a long time. You can also talk to your child’s teacher for unique educational ideas, too. 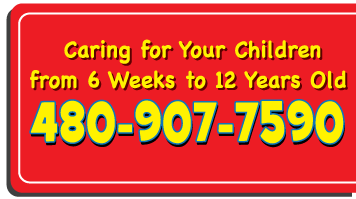 The teachers at your preschool in Gilbert AZ can help you choose the best gift for your child based on how they learn! But remember, the best part of Christmas is being with those you love. Enjoy it.